We can also capture and store all the screen shots for failed scenarios and it also store the executed data sheets with Pass/Fail status. 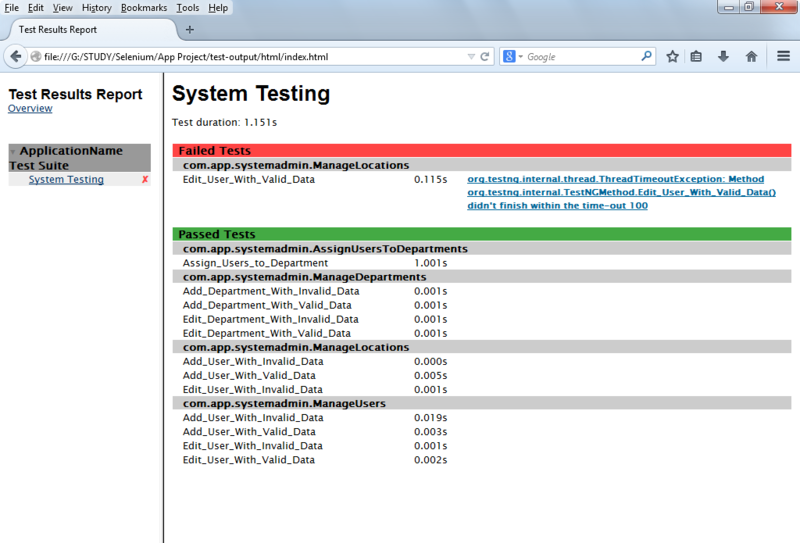 When we use TestNG, by default it generates the reports / execution status in ‘html’ formats. 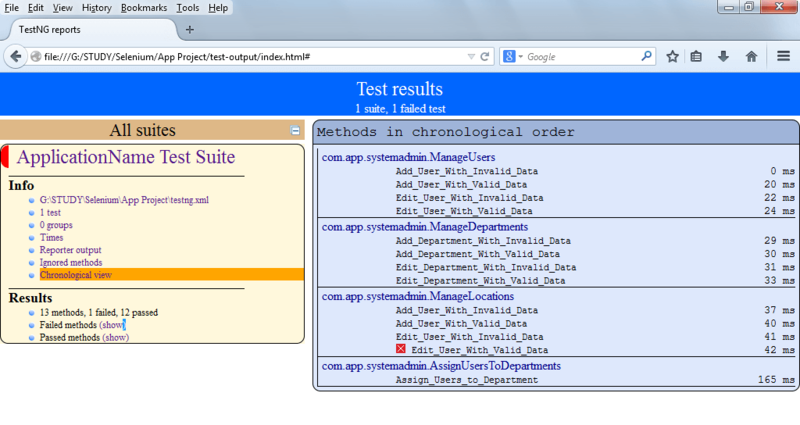 The below is the sample html format report generated by TestNG. You can click here for article on How to Customize TestNG Report Emailable Report which will help user to quickly understand report. We can also view the reports in detail by using the options/links that are present in left-hand side. The above report is in Chronological order, in which we can view all the executed methods and if there are any “Failed” cases, it will indicate with Red Color Cross icon (as shown at Edit_User_With_Valid_Data). 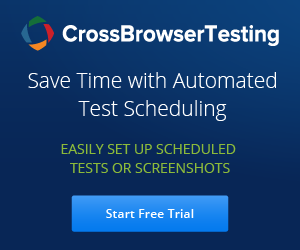 It will also display the time taken to execute test cases in the right side of each test cases. We can view the detailed report if there are any failed test cases, we can click on link “Show” beside Failed Methods under “Results” Grid. User can also see the Pass Methods details as Failed methods. 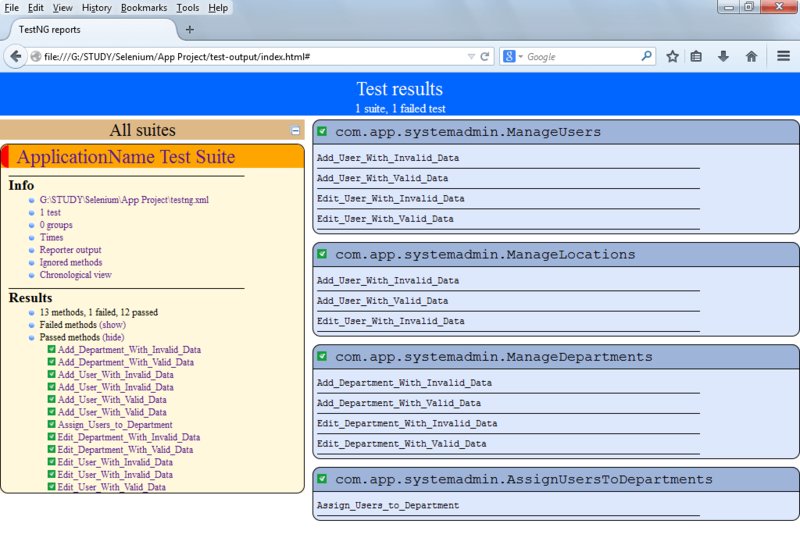 TestNG allows the user to use ReportNG Reports as well. ReportNG is a simple plug-in for the TestNG unit-testing framework to generate HTML reports as a replacement for the default TestNG HTML reports. Click on the hyperlink to view the detailed report. If there are any failed cases it will show the message/error that occurred. Unable to see the Screenshot as it's showing broken images. Please upload again.